This find comes to you from a little idea called "The Anniversary Box." 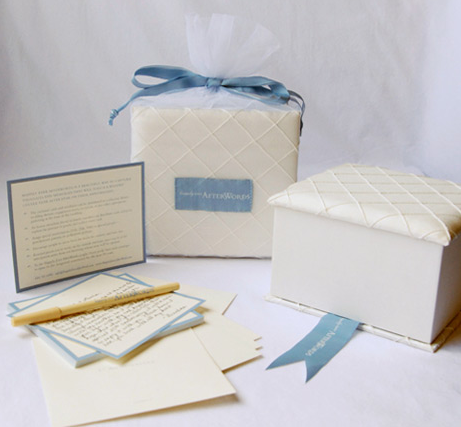 This box is a wedding gift that gives a little each year of the couple's marriage. The concept is that family and friends will write words of wisdom, comical memories, or other recipes to keep their love alive. The notes can even include memories from the wedding day. And each anniversary that goes by, the couple will open one new note, reminding them of the first day they said "I do."